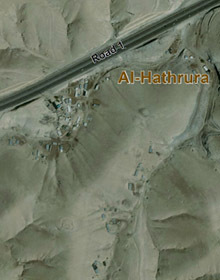 Al-Hathroura is located east of Al-Khan Al-Ahmar, and southeast of the settlements of Alon, south of Road No. 1 to Jericho and alongside it. The community arrived there from the Tel Arad area, from which they were deported at the end of the 1940s. Initially, they settled in the Yatta Masafra area near Hebron; later, they moved to their present location. 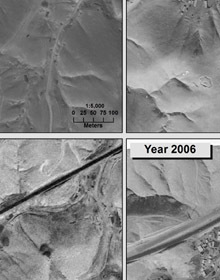 Settlement at the site began even before the main road to Jericho was paved, in the mid-1960s, and over the years, the population became concentrated mainly alongside the road, although some of the residents also live in the wadi channels a bit further south. When they first arrived, they settled on private lands with the agreement of the landowners in A’nata, which were subsequently expropriated in 1975 as part of the massive land expropriation for the establishment of Ma’ale Adumim. Today, these lands are located in the jurisdictional area and master plan of Ma’ale Adumim. Some of the built-up area is within the Road 1 master plan limits. In 2008, evacuation orders were issued for all of the houses there, but residents succeeded in obtaining an interim order from the court to delay implementation of the orders. Approximately one year ago, demolition orders were issued for three new houses built there. The expansion of the road over the years, and the addition of security fences on both sides of it, make vehicle access difficult, and prevent pedestrians from crossing the road. In order to reach the area in vehicles, a large detour is necessary from the north, along poorly maintained roads; this includes crossing underneath the main road. Difficulties notwithstanding, public transportation does stop there, enabling access to Jericho and to schools. Some 50 elementary and middle school pupils attend school in A’qbat Jaber, and another 20 students, approximately, attend high school in Jericho. Flocks are taken to pasture in winter to grazing areas in the south, as far as Nabi Musa, and in summer, they are usually in pens, where they subsist on feed. 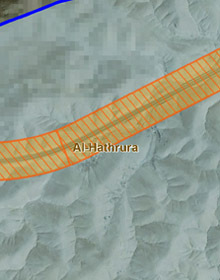 The grazing areas north of the road, open to them in the past, are no longer accessible due to the settlement of Alon, whose residents prevent them from reaching the area. The flocks serve mainly for the manufacture of milk products for domestic use, and sometimes, for sale on a per-order basis. The raising of flocks is almost the only means of livelihood for the population, and the unemployment rate exceeds 90%. Of late, representatives of the Civil Administration have suggested that they move, together with residents of Al-Kassara, to one of the two options of Steiha or Nue’meh. 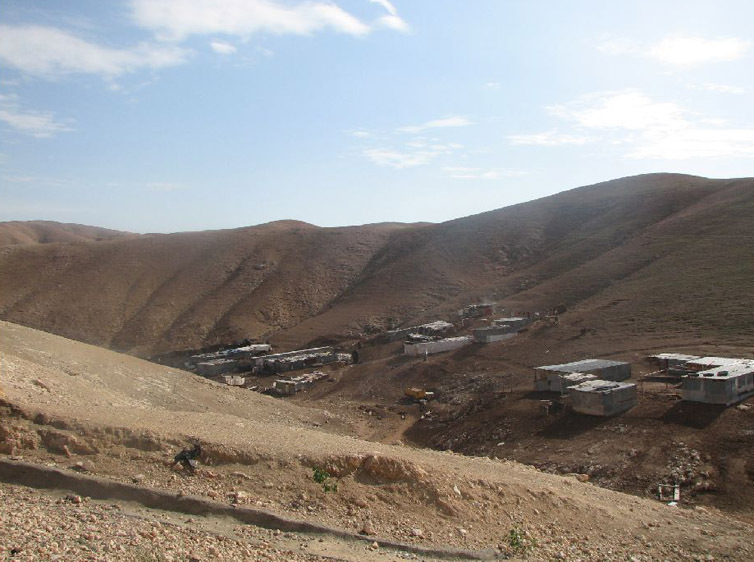 Neither is acceptable to the residents, since these localities are already inhabited by other Bedouin, and ownership of the lands is contested.